Article produced and sponsored by The Leasehold Advisory Service and Llywodraeth Cyeru Welsh Government. Appreciate what your responsibilities are. It is intended as a general guide only and is not a substitute for legal advice. 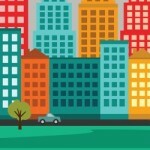 It has been produced jointly by the Association of Residential Managing Agents (ARMA), the Association of Retirement Housing Managers (ARHM), and the Leasehold Advisory Service (LEASE). Leasehold flats can be in purpose-built blocks, in converted houses or above commercial or retail premises. Leasehold ownership of a flat is simply a long tenancy, the right to occupation and use of the flat for a long period – the ‘term’ of the lease. This will usually be for 99 or 125 years and the flat can be bought and sold during that term. The term is fixed at the beginning and so decreases in length year by year. Thus, if it were not for inflation, the value of the flat would diminish over time until the eventual expiry of the lease, when the flat returns to the landlord (although an assured tenancy would then become a possibility). The leasehold ownership of a flat usually relates to everything within the four walls of the flat, including floorboards and plaster to walls and ceiling, but does not usually include the external or structural walls. The structure and common parts of the building and the land it stands on are usually owned by the freeholder, who is also the landlord. The freeholder is responsible for the maintenance and repair of the building. The costs of maintenance and repair are recoverable through the service charges and billed to the leaseholders. The landlord can be a person or a company, including a local authority or a housing association. It is also quite common for the leaseholders to own the freehold of the building, through a residents’ management company, effectively becoming their own landlord. Furthermore, under right to manage, the lessees may not own the freehold but are able to manage the building as if they were the landlord. This blog refers to ‘the landlord’ throughout, although this may also be the leaseholders’ own company. A lease is a contract between the leaseholder and the landlord giving conditional ownership for a fixed period of time. It is an important document and leaseholders should ensure that they have a copy and that they understand it. The wording of leases is usually in legal language and can vary from property to property. Leaseholders who find it difficult to understand their lease should get advice from a solicitor and insist that they provide a report on its terms when they are instructed to deal with the purchase. It is difficult to change the conditions of the lease after you buy, so make sure that the services provided for and the obligations imposed in the lease are those that you want or can accept. The lease sets out the contractual obligations of the two parties: what the leaseholder has contracted to do, and what the landlord is bound to do. The leaseholder’s obligations will include payment of the ground rent (if any) and contribution to the costs of maintaining and managing the building. The lease will probably also place certain conditions on the use and occupation of the flat. The landlord will usually be required to manage and maintain the structure, exterior and common areas of the property, to collect service charges from all the leaseholders and keep the accounts. Leaseholders are not necessarily entirely free to do whatever they want in or with the flat – the lease comes with conditions, to protect the rights of everyone with an interest in the building. For example, retirement schemes will usually have restrictions on the age of those who can live there. Read the lease – understand your rights and responsibilities. Ask if the landlord or manager produces a plain English summary for you to read and whether there are any additional house rules. 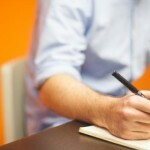 What are your contractual rights? First and foremost, the right of peaceable occupation of the flat for the term of the lease, usually referred to as ‘quiet enjoyment’. In addition, the leaseholder has the right to expect the landlord to maintain and repair the building and manage the common parts – that is, the parts of the building or grounds not specifically granted to the leaseholder in the lease but to which there are rights of access, for example, the entrance hall and staircases. Principally, these will be the requirements to keep the inside of the flat in good order, to pay (on time) the service charge as a share of the costs of maintaining and running the building, to behave in a neighbourly manner and not to do certain things without the landlord’s consent, for example, make alterations or sublet. The landlord has an obligation to ensure that the leaseholder complies with such responsibilities for the good of all the other leaseholders. These rights and responsibilities will be set out in the lease. Service charges are payments by the leaseholder to the landlord for all the services the landlord provides. These will include maintenance and repairs, insurance of the building and, in some cases, provision of central heating, lifts, porterage, estate staff, lighting and cleaning of common areas etc. Usually the charges will also include the costs of management, either by the landlord or by a professional managing agent. Service charges will vary from year to year; they can go up or down without any limit other than that they are reasonable. Details of what can (and cannot) be charged by the landlord and the proportion of the charge to be paid by the individual leaseholder will all be set out in the lease. The landlord arranges provision of the services. The leaseholder pays for them. All costs must be met by the leaseholders; the landlord will generally make no financial contribution. Most modern leases allow for the landlord to collect service charges in advance, repaying any surplus or collecting any shortfall at the end of the year. 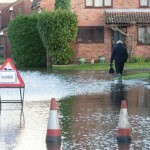 The landlord can only recover the costs of services which are reasonable. Leaseholders have powerful rights to challenge service charges they feel are unreasonable at the First-tier Tribunal (Property Chamber). When considering the purchase of a leasehold flat, it is important to find out, for personal budgetary purposes, what the current and future service charges are likely to be. Also check if there is a reserve fund, and what plans there are for major works that could affect the service charge in the next few years after your purchase. Many leases provide for the landlord to collect sums in advance to create a reserve or ‘sinking’ fund to ensure that sufficient money is available for future scheduled major works, such as external decorations or lift replacement. The lease will set out the arrangements for this and when regular, cyclical, maintenance works are due. Contributions to the reserve fund are not repayable when the flat is sold. If there is insufficient money in the reserve fund to deal with major works the costs will be shared between owners in the proportions set out in the individual leases. The lease will normally require the landlord to take out adequate insurance for the building and the common parts, and will give him the right to recover the cost of the premium through the service charges. This policy will not normally cover the possessions of individual leaseholders for which contents insurance should be taken out. It is the leaseholder’s obligation to pay the service charges and ground rent promptly under the terms of the lease. If they are not paid and the landlord is able to satisfy a Tribunal that the charges are properly due and reasonable, then he can begin forfeiture proceedings by applying for a court order. The court has wide discretion where forfeiture is concerned, but if forfeiture is approved by a court, this can lead to the landlord repossessing the flat. The landlord may also seek a county court judgement for payment which can affect a leaseholder’s ability to obtain credit. Sometimes the landlord or the residents’ management company carries out the management of the property direct; alternatively, a managing agent may be appointed to manage and maintain the building on behalf of the landlord, in accordance with the terms of the lease, current relevant legislation and codes of practice. The agent takes instruction from the landlord, not the leaseholders, but should constantly be aware of the leaseholders’ wishes and requirements. The agent will receive a fee for day-to-day management which will usually be paid by leaseholders as part of the service charges. This may be based on a specified percentage of the day-to-day service charges; it is good and common practice is for it to be a fixed fee per annum. Where major works are involved, the agent may charge an additional fee, which will normally be a percentage of the total cost of such works. What other rights does the leaseholder have? Information: the landlord must provide his name and a contact address within England or Wales which must be stated on every demand for ground rent and service charges. Leaseholders can demand summaries of costs of the services, details of the insurance cover and have the right to inspect invoices for services and other documents. With each demand for service charges and administration charges there must be an accompanying summary of rights and obligations. Consultation on major (qualifying) works: the landlord should not carry out major works to the building where it costs any leaseholder more than £250 without first consulting the leaseholders in the proper fashion; if he fails to do this, he may not be able to recover all the costs. Consultation on long-term agreements: the landlord should not enter into certain agreements or contracts for any service over 12 months where the cost to any leaseholder is more than £100 per year without first consulting the leaseholders. Challenging service charges: leaseholders can apply to the Tribunal to seek a determination of the liability to pay and reasonableness of the charges, whether already paid or not. Challenging administration charges: leaseholders can apply to the Tribunal to seek a determination of the liability to pay and reasonableness of other charges arising from the lease in addition to the service charge. 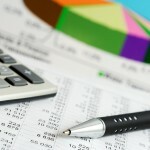 For example, consents for alterations and subletting, or fees for providing information. Right to manage: if groups of leaseholders who satisfy certain conditions want to change the management of their property, whether it is deficient or not, they can do so by using the right to manage. This is a ‘no fault, no compensation’ process that will allow leaseholders as a group to decide the management arrangements for the property. This right does not apply where the landlord is a local authority. Appointing a manager: if the landlord’s management is deficient, then leaseholders can apply to the Tribunal for the appointment of a manager (except where the landlord is a housing association or local authority). Extending a lease: an individual leaseholder who satisfies certain conditions can demand a new lease from the landlord, adding 90 years to the existing lease, with the price to be agreed between the parties, or, if this is not possible, set by the Tribunal. Buying the freehold: groups of leaseholders who satisfy certain conditions can get together and enforce the sale of the freehold by the landlord to them, again with the price being agreed between the parties or, if this is not possible, set by the Tribunal. Right of first refusal: in most cases, where the landlord proposes to sell his interest in the building, he must offer it to the leaseholders first or he can be prosecuted. There are some exceptions to this, including housing associations and local authority landlords. Right to vary a lease: a lease can be varied at any time with the agreement of all interested parties; otherwise an application can be made to a Tribunal on various grounds which can include that it does not make proper provision for such things as the repair or maintenance of the building, insurance etc. All these rights are covered in various publications available from LEASE. Where can i get advise? 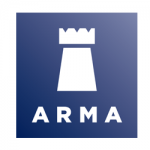 ARMA is the leading trade body in England and Wales that focuses exclusively on matters relating to the block management of residential property, whether for landlords or resident management companies. Members agree to adopt and comply with the principal objectives of the Association and undertake to follow the code of practice issued by the Royal Institution of Chartered Surveyors. All ARMA members offer access to an independent ombudsman scheme. 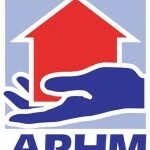 ARHM is the leading trade body for managers and landlords of leasehold schemes purpose built for retired people, whether for landlords or resident management companies. Its members agree to comply with its code of practice for private retirement schemes and to offer leaseholders access to an independent ombudsman scheme. Should I buy a leasehold flat? If you want to buy a flat, rather than a house, then you have little choice. Present property law in England and Wales effectively requires that flats be leasehold, although some leasehold flats are now sold with a share of the freehold through participation in a residents management company. In addition, legislation introduced in September 2004 does allow for a new form of tenure known as commonhold, where the flat is held on a freehold basis. However, owning a leasehold flat should not be a concern as long as you know and appreciate your rights and obligations. With a well-written lease and a properly managed building, a leasehold flat should provide a perfectly good home and a secure investment.